Impact in Education: Cynthia Ellis, M.D. Cynthia Ellis, M.D., is one of the recipients of an Office of Academic Affairs 2017 Impact in Education Award. She will receive the Interprofessional Education Scholar Award. Joined UNMC: Attended UNMC for medical school 1981-1985. Returned as faculty in 1998. This award recognizes an individual who has made significant contributions to interprofessional education locally, regionally, or nationally. You are the recipient of the Interprofessional Education Scholar Award. Why is interprofessional education important in today's health care fields? Team-based health care has become important in the evolution of our country's health care system. Interprofessional education lays the foundation for professional collaboration in the provision of quality patient care by teaching future health professionals the skills they need to effectively partner as a team while also providing the opportunity for students to practice this teamwork in a safe, learning environment. The ensuing enhanced communication, shared decision-making, mutual respect and more comprehensive view of patient care benefits both the patients and the professionals. My proudest moments as an educator have been when my former students become my colleagues and collaborators. I work with many former students in patient care, educational and other professional activities and am so proud of the leadership and accomplishments of these amazing individuals. First, seek out opportunities where you are passionate and enthusiastic about the students and your opportunity to help them learn and grow, and, second, embrace continuous learning, both in your field as well as from your students and other successful teachers. Congratulations Cindy! Great to recognize your leadership! Hi, I would like to say congratulations Dr. Ellis for the wonderful job your doing helping empower the youth of today and making such a impact on education. I’m honored to have met you with Victoria. I enjoyed my time talking to you and sharing some of my experiences in education. Thank you for your hard work. Pam Richards. Cindy, I am so proud of you! This honor is well-deserved. Congratulations! Congratulations, Cindy! I'm glad to see you recognized for your inspiring leadership at UNMC. Congratulations Cindy! This recognition is well deserved and overdue! Congrats, Cindy. Glad to see you get the recognition you deserve! Congratulations Cindy! Glad you are at MMI. Congratulations, Cindy! Well deserved recognition for the many years of interprofessional education you've been doing. The Impact in Education Awards ceremony will be held at 3 p.m. Jan. 11 at a location to be announced, with a reception to follow. 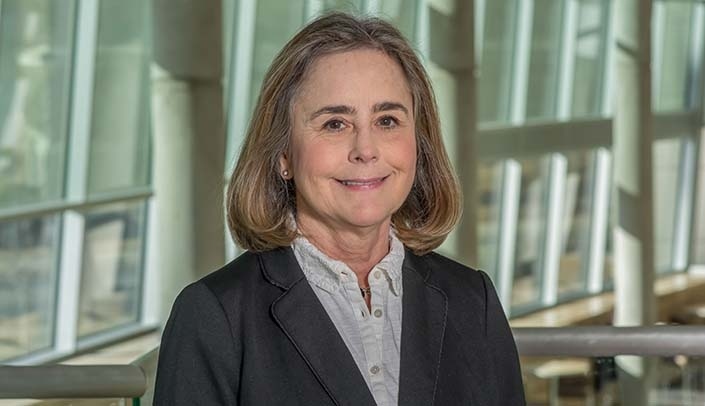 Karen Honeycutt, associate professor and program director in the UNMC Division of Medical Laboratory Science in the College of Allied Health Professions.